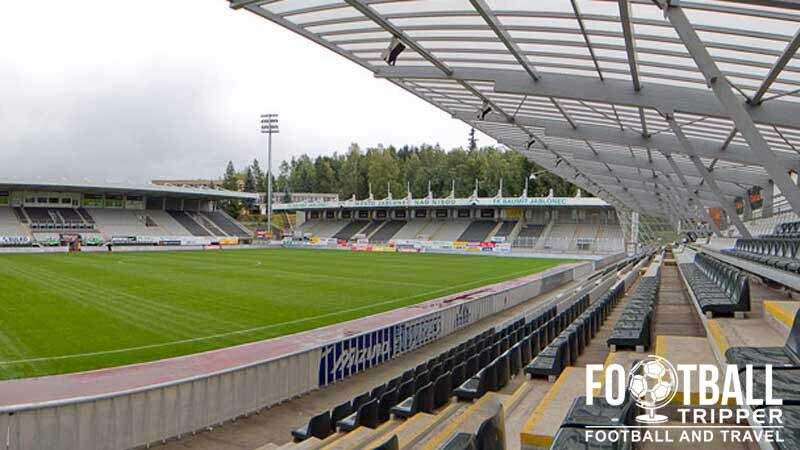 The Chance Arena or Střelnice Stadion as it is formerly known as is a multi-functional stadium located in the Northern Bohemia town of Jablonec nad Nisou. 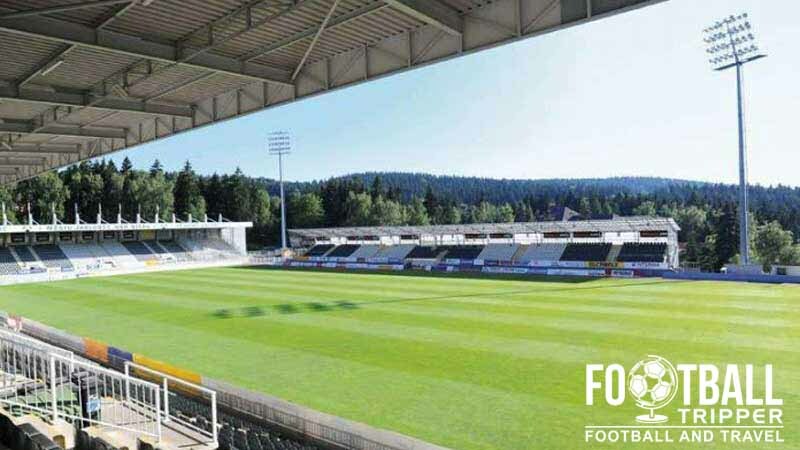 Used chiefly for the football matches of FK Baumit Jablonec, the 6,280 capacity ground hosted the final of the under 19 UEFA EURO Championship in 2008. The site on which today’s Chance Arena sits appears to have first been used to host sporting events as far back as the late 19th century. 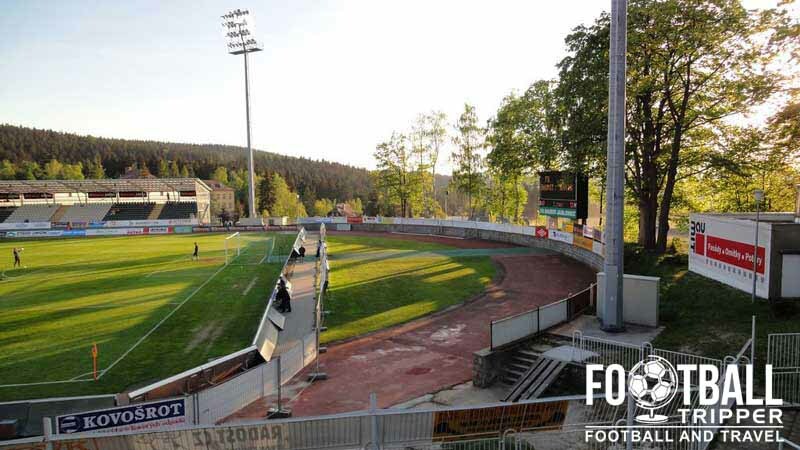 Originally known as Střelnice Stadion which translates into English as “Shooting Stadium”, the ground’s origins lie in the formation of a shooting club which initially used the land, however over time it would develop into the largest sports club and set of facilities in Jablonec nad Nisou. Střelnice Stadion’s design as we know it today dates back to 1955 when the first grandstand was complete. Although it was later replaced in 2002, the first covered seating section which overlooked the athletics track essentially set the form of the stadium, and the direction of the pitch. Although remnants of the running track exist to this day it was mostly built over during the stadium’s reconstruction between 2004 and 2007. 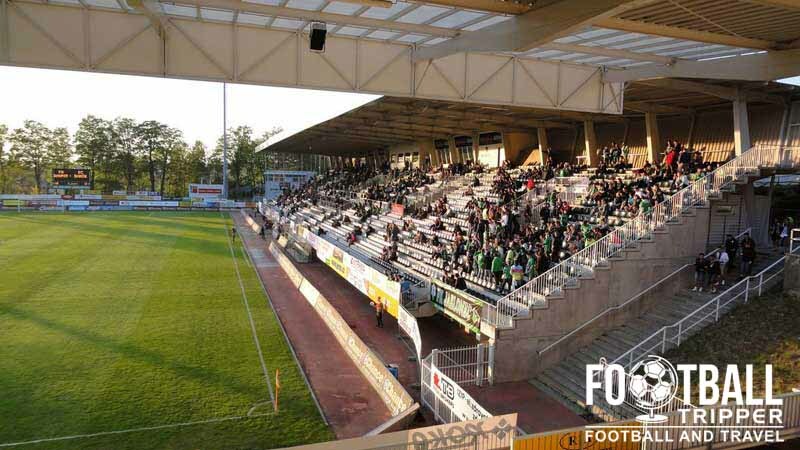 Along with the once considered luxuries such as undersoil heating and bright floodlights which UEFA now considers as standard, three out of four stands were rebuilt over the three year period. Upon reopening in August 2007 the stadium became known as the Chance Arena after the naming rights were sold to Czech bookmakers, however since the seven year deal expired, the stadium has reverted back to the name Střelnice Stadion at the start of the 2014/2015 season. Between 14th – 26th July 2008 Střelnice Stadion was used as one of 6 venues of the UEFA European Under 19 Championships. Hosting two group games (Czech Republic v England, and England v Italy), and the most prestigious event of all, the final between Germany and Italy, Střelnice Stadion was firmly put on the map as one of Czech Republic’s more underrated stadiums. To date the rebuilt Střelnice Stadion has yet to host the group stages of either of UEFA’s competitions, despite FK Baumit Jablonec qualifying for both the Champions League and Europa Cup. The closest Baumit have come is during the 2013/2014 season when they faced Real Betis in the play-offs, however they succumbed to a 8-1 defeat on aggregate. The Chance Arena is comprised of four stands: North, East, South and West.